EHS is not about the Environment or People: It's about Business Continuity, Risk Management, Governance and Sustainability. EHS professionals across different industry sectors and vendors of every kind of EHS-related software, tool or service are all united in asking the same question: How can we convince the C-Suite that EHS is important to the business? The necessary terminology to help make the business case. What EHS means to individual members of the C-Suite. 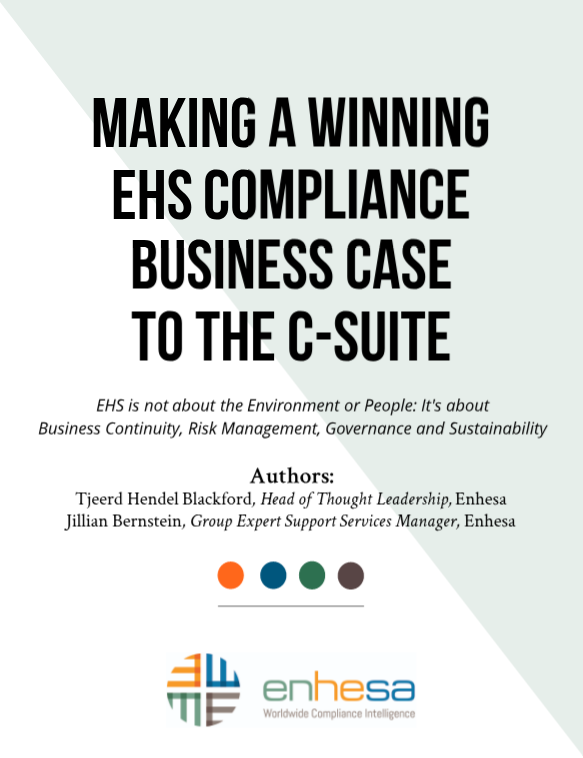 How you can represent EHS as a necessity rather than an expense to the C-Suite. Investing and Operating in India? 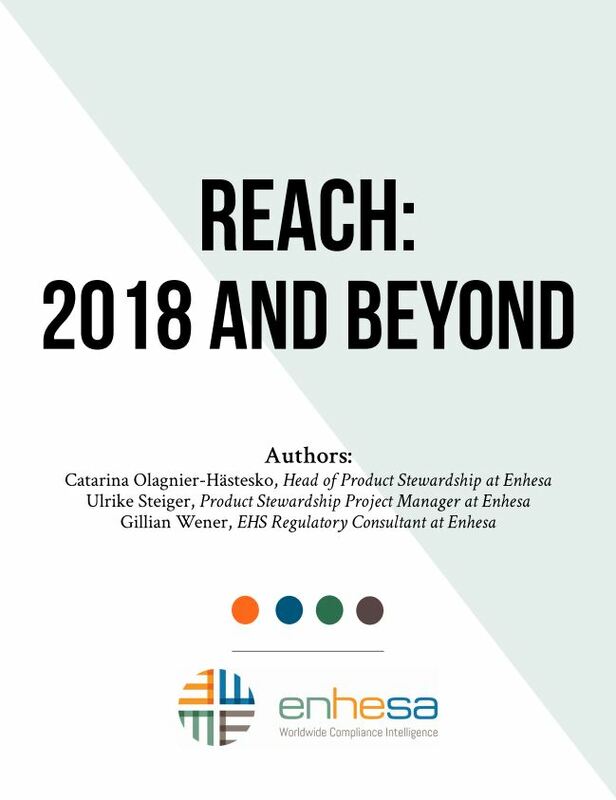 This complimentary publication is a collaboration between Enhesa and International SOS. India, a growing economy and the world’s largest democracy, has a population exceeding 1.2 billion. The industrial and corporate presence in India has shifted its focus on occupational health practices both from a compliance and a duty-of-care perspective. Over the past few years, the country has seen several changes in its social, political and environmental conditions, and businesses are required to adapt to these changes. Healthcare trends in India have been and remain consistent with challenges other emerging countries face. 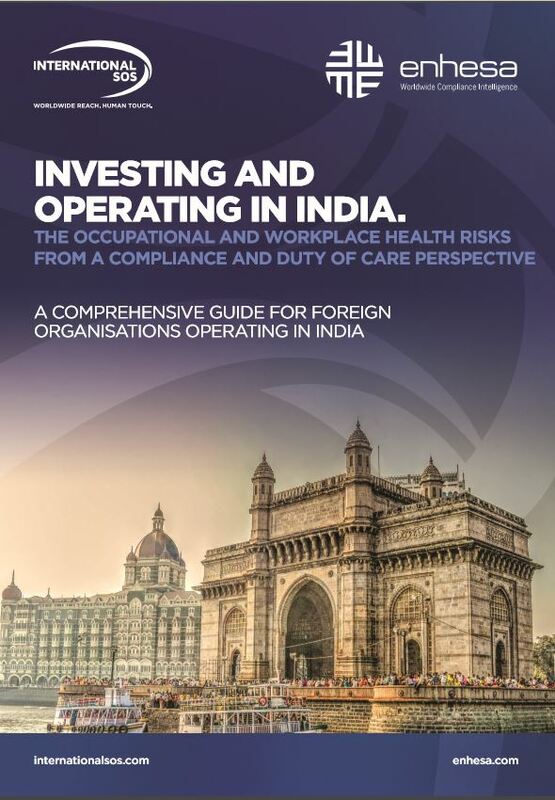 This paper will address the current health landscape and summarize the occupational health and safety (OHS) regulations and requirements that organisations must respect in India for legal and reputational reasons. The Goal is "To Ensure a High Level of Protection for Human Health and the Environment"... but what does that mean? 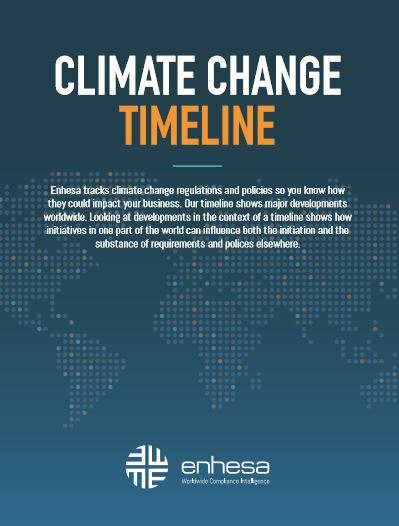 Enhesa tracks climate change regulations and policies so you know how they could impact your business. Our timeline shows major developments worldwide. Looking at developments in the context of a timeline shows how initiatives in one part of the world can influence both the initiation and the substance of requirements and polices elsewhere. 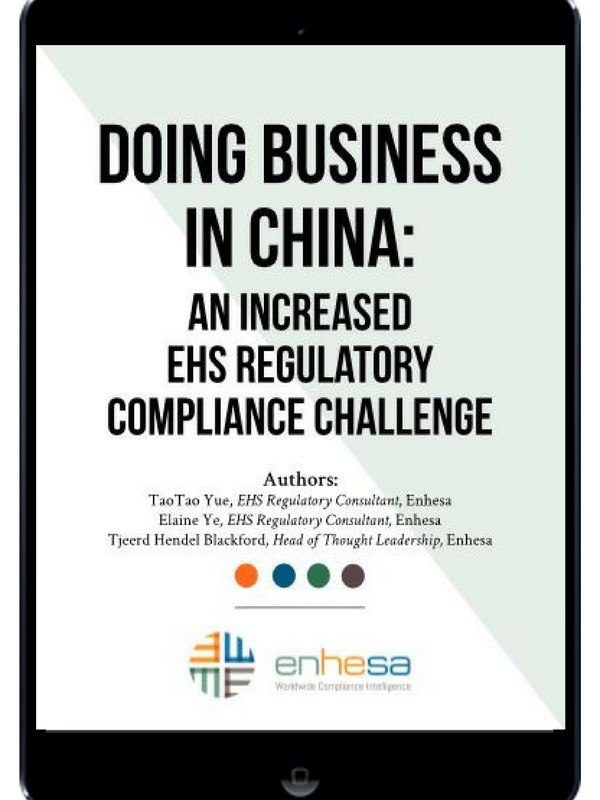 Enhesa's core advantage is its ability to immediately identify EHS regulatory trends as they develop around the world. Enhesa Insight is a combination of complementary blog posts and articles that highlight the latest EHS and product related news and regulatory developments around the world.